As a Lennox SunSource Solar-Ready Dealer, Oak Grove Heating & Air Conditioning has received Hattiesburg certification requirements for residential solar installations. We’ve been around since 1978, and our staff is knowledgeable, fully trained and NATE certified on a full range of HVAC products, maintenance and technology. Our technicians have experience repairing furnaces and will make sure your home is back to keeping you warm and cozy in no time. From training and certifications to our reputation for completing the job right time and time again, you can trust that Oak Grove Heating & Air Conditioning’s furnace repair technicians will have your troubles taken care of and your furnace running smoothly.Whether it’s furnace repairs, service or purchasing a new system, Oak Grove Heating & Air Conditioning in Hattiesburg has you covered. Call 601-268-3486 or visit http://www.oakgroveheatair.com/ for more information. You wouldn’t want to wake up on a cold morning to discover that your furnace has quit out of the blue. One of the easiest ways to avoid repairs is through annual service appointments. Oak Grove Heating & Air Conditioning in Hattiesburg can help make certain your system will run smoothly all season. By taking advantage of our service agreements, you may be able to avoid costly repairs and save money. During a Oak Grove Heating & Air Conditioning furnace service appointment, our tech will perform a multipoint inspection to check all areas of the furnace to ensure it is operating properly. 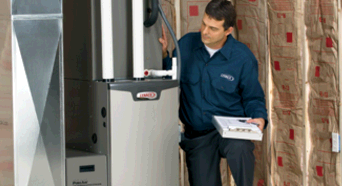 Not only can these appointments save you money from reduced repair needs, but you may also find your furnace operating more efficiently after the appointment, resulting in decreased heating costs. So, start the winter season off right by getting your furnace service and annual maintenance done before winter weather really strikes. You’ll be able to rest easy knowing that your furnace is able to handle whatever weather Hattiesburg throws at us.When you discover you need furnace repair this winter, Oak Grove Heating & Air Conditioning has you covered there too. Our team is trained to get the job done quickly and correctly, so you can relax in a more comfortable home without stress about whether your furnace will go out again. Air Conditioner Repair and Maintenance Services:It may sound like a funny comparison, but your air conditioner needs regular service just like your car. You wouldn’t go long periods of time without taking your vehicle in for an oil change and a routine maintenance check, so why not care for you AC the same way? It’s best to have this kind of routine air conditioner service done in the off season, when your air conditioner doesn’t have to be running at maximum capacity to meet your cooling needs. In an air conditioner maintenance appointment, the techs at Oak Grove Heating & Air Conditioning in Hattiesburg will inspect numerous elements in and around your system. These checks could cover even small things – like checking the fuel output to cleaning coils to making sure your air filter is clean – but everything makes a huge difference in the performance and efficiency of your air conditioner. After everything is said and done, air conditioner service can also help ensure your system runs without conking out when you most need it. It can also help you save money money over time since you’re less likely to discover needed repairs and your system may also operate more efficiently. Lower cooling bills sound pretty nice, right As much as we try to avoid them, AC repairs still arise every so often. Oak Grove Heating & Air Conditioning has you covered. 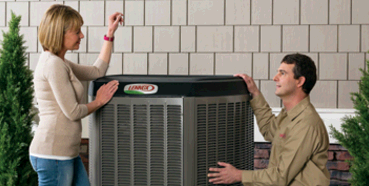 Our trained technicians can find and fix problems quickly so you can have a cool, comfortable home in no time.